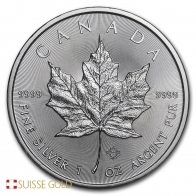 1 Ounce Canadian Maple Leaf Gold Coin .999 or .9999 Fine. 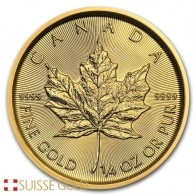 The Canadian Maple Leaf gold coin was initially introduced in in 1979. The coin features the image of Queen Elizabeth II on the front, with the year and face value of the coin at the bottom. 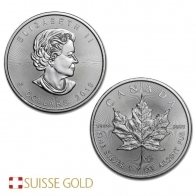 The 1 Ounce Canadian Maple Leaf gold coin has a face value of $50 CAD. 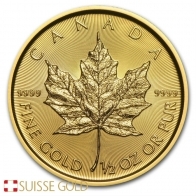 Contact us to sel 1 Oz gold Maple Leafs.